All of the embroidery is of one piece – it was NOT sewn in separate pieces and then joined together. 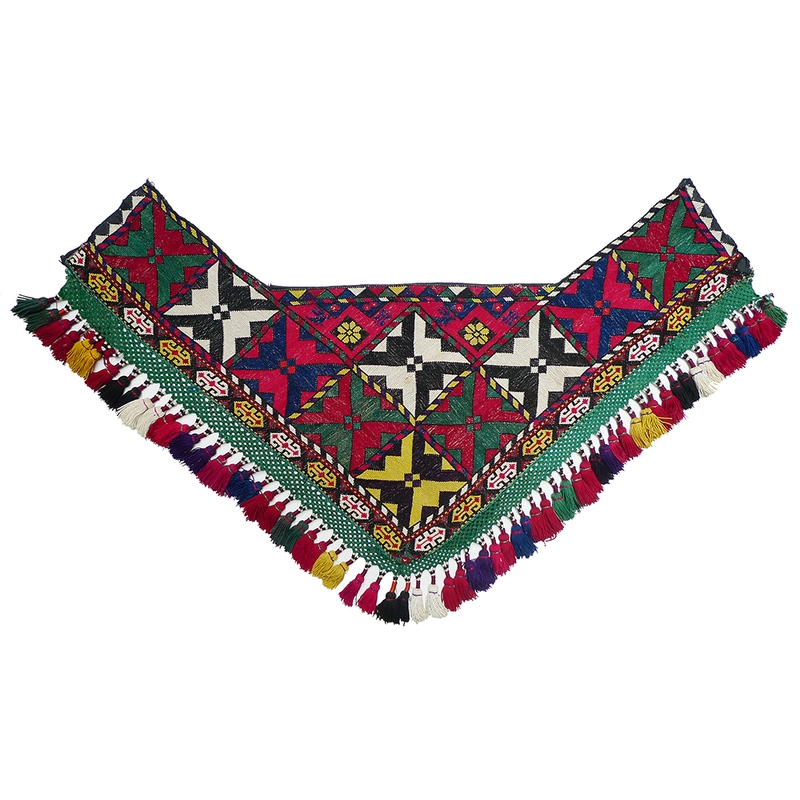 Segusha, or saye gosha, are V-shaped embroideries used to embellish the home bedding stack (chuk). They were usually part of a larger piece of cloth that was laid between the quilts with the decorative embroidery hanging down in front. With time, the plain cotton or wool cloth (red was the preferred color) was often discarded and only the embroidery retained. Two small blue birds are embroidered along the top of the V-shaped section.